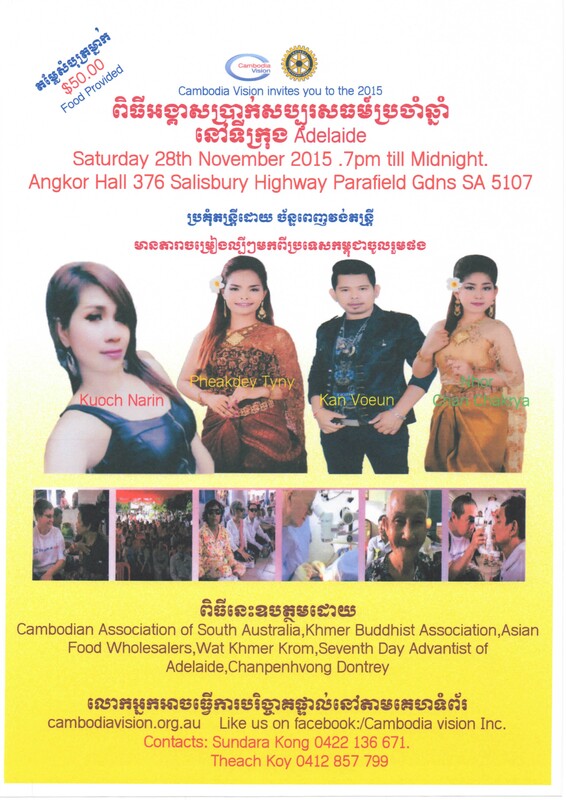 Thank you Adelaide community for your fantastic support to the first inaugural Cambodia Vision function on the 28th of November 2015 at the Angkor Hall. Thank you to the organising team especially Sundara Kong and all the community leaders who helped organised the event. A special thanks and appreciation to Khmer Buddhist Association of SA for the use of venue and all other temples/ churches/ associations and businesses for their participation and support. We also thank the Ing Catering and CBN team. Most of all we thank the participants and donors who helped make the evening an enjoyable and successful one.